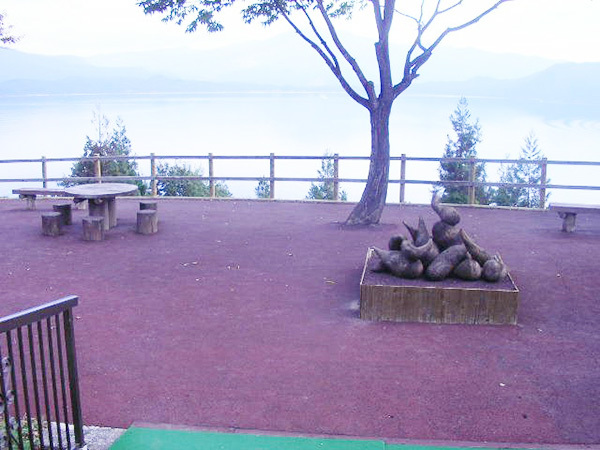 The ASWOOD construction method is wood-based (wood chip) paving that has water permeability and a shock-absorbing ability. ASWOOD paving uses the “ASWOOD Emulsion” rubber modified asphalt emulsion, which has outstanding flexibility, as well as wood chips, pigments, and other supplementary materials. Because it is also possible to use wood chips obtained from forest-thinning operations and waste construction materials, this construction method is also positioned as recycled paving. Dedicated mixing machines or plants are installed on the site, where the compounds are manufactured and the work is implemented. Because it has an outstanding cushioning ability, stress will not be applied to pedestrian’s legs. Due to its water permeability, puddles will not form. Because the binder will thickly coat the wood chips, the water resistance and durability will be excellent. 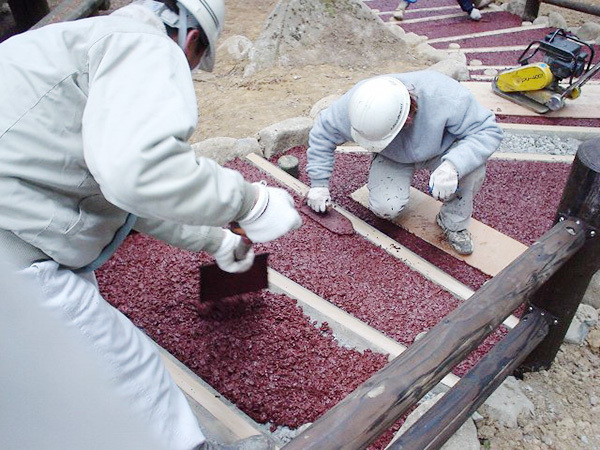 Since the procedures from the manufacturing of the compound to the implementation can be carried out at normal temperatures, the paving is gentle to the environment. 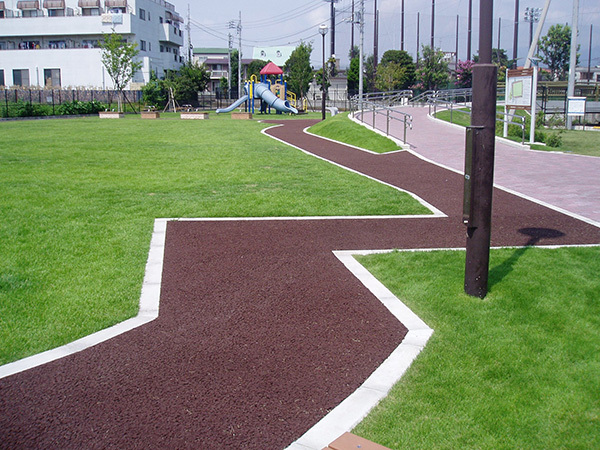 By selecting the pigments, color tones ranging from black to brown and reddish brown can be obtained, so that the paving will blend in well with the natural environment. Through careful planning, it will be possible to use forest-thinning materials or construction waste materials that are generated in the locality.